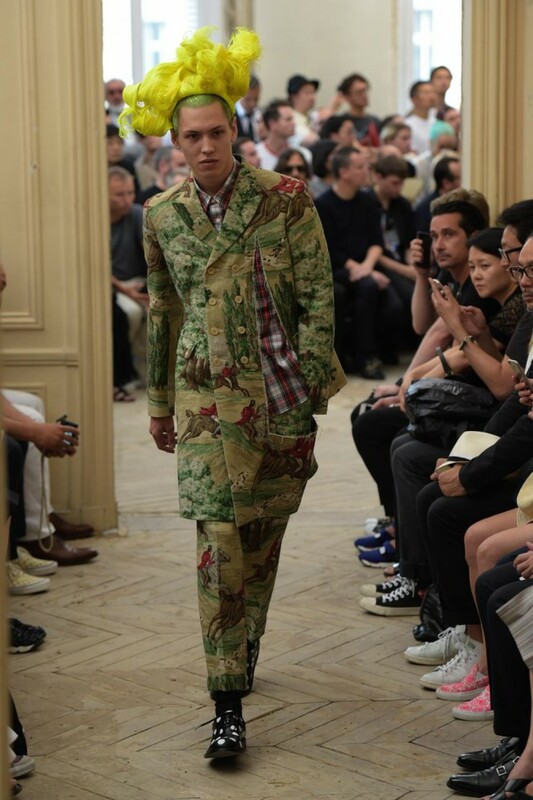 Titled ‘Broken Tailoring’, the Comme Des Garçons Homme Plus SS16 collection stood true to its name. For creative director Rei Kawakubo, deconstruction is a way of life. So it’s a special occasion when we witness a collection that really nails that bent. A proper Punk take on tradition, the quirky, broken look of the stereotyped artisan stalked the runway in an array of undone bespoke wear. 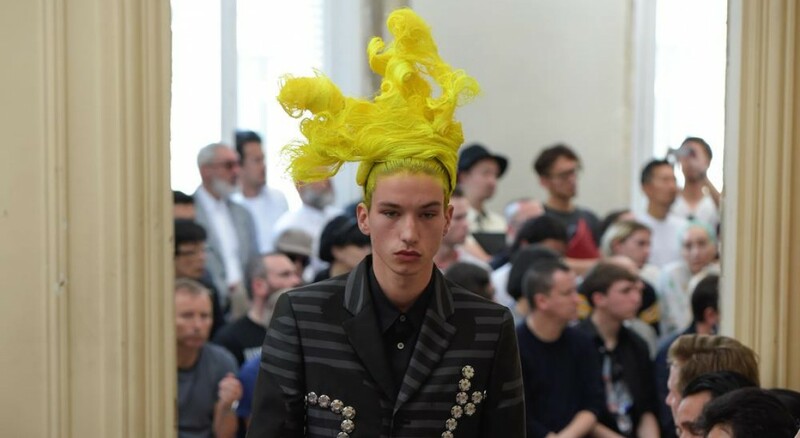 A shock of yellow hair ascended like a flame on model’s heads, and although the clothes were far less fancy-free in their fitted structures, they were by no means restricted and instead relished in robust detail. Blazers and long-line harem shorts cut strong figures cast in the scenic tapestry of horses and Dalmatians bounding through green pastures. The regal imagery was classically torn in a triangle on one side and around the edges to expose a plaid shirt underneath – and there it was: the rebellious youth bent that in this collection battled against its cultural opposite, rebellious British youth. Aristocracy, Punk, tailoring, deconstruction. Tearing it down with the ultimate tension, as Comme does best.